The optimum, deep-bed filter medium is provided with porous, voluminous filtering layers, with maximum micro-fine fibres which easily deal with additional electrostatic surface charges. To manufacture these filter media is technically demanding, however, not impossible, as the success of Kalthoff composite media has proven over many years. We have enhanced our MULTIFOLD fine dust bag-type filters COMPOPLUS® according to the requirements of EN 779:2012. 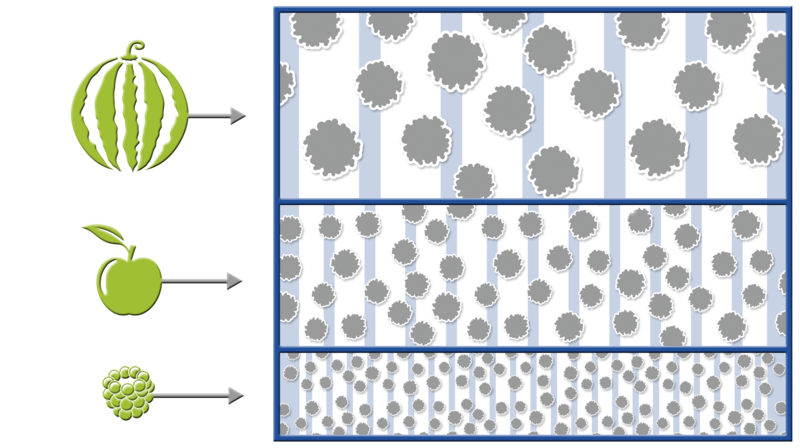 A composite nonwoven is a filter media structured in multiple layers of electrically-uncharged, organic, synthetic fibres. The fibre separation distances and the fibre diameters decrease in the direction of the clean-air side. That is designated as a progressive-layer structure. This is because, with decreasing fibre diameter, the filtering separation probability increases considerably. 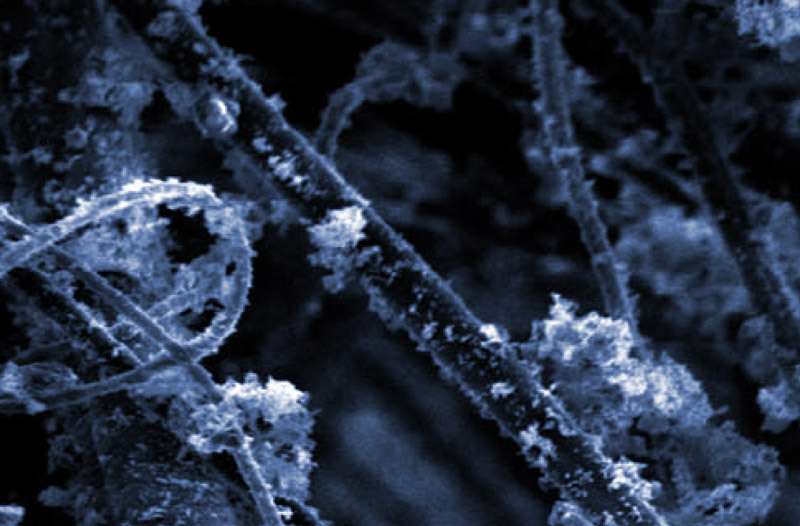 If the finest particles of 0.4 µm should be separated efficiently, for physical reasons the fibre diameter must be less than 3 µm. Therefore the finer is the more effective filter. 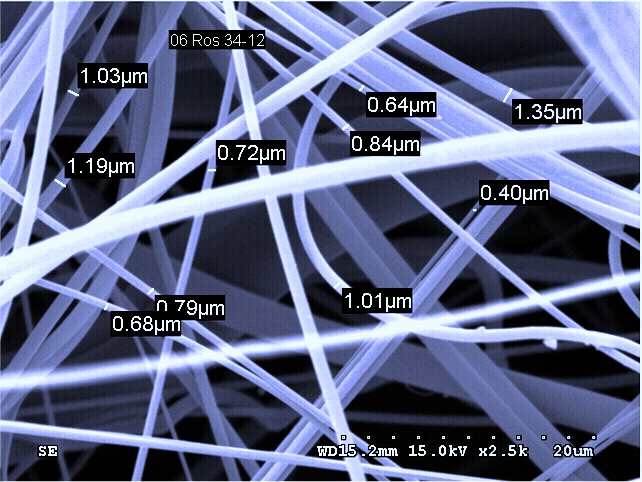 An open-pore micro-fibre material is used as a coarse filter layer in this case. As a result of that, coarse particles can advance into the depths of the material. The formation of a filter dust cake is prevented and the dust particles are incorporated separately and fractionated in the media. Furthermore, a more voluminous, open-pore structure facilitates the deposition of maximum large volumes of deposited particles, without the airflow resistance of the deep-bed filter increasing considerably. The fine filter layers are formed by special ultra-fine, melt-blown materials. They provide a separation efficiency which is significantly increased with respect to fine dusts, since the mean fibre diameter has been lowered from the former value of approx. 2.5 µm to less than 1 µm. As a result of this measure alone, the effective fibre surface area is increased by approx. 150% compared to conventional melt-blowns, and the efficiencies with respect to 0.4 µm particles significantly increased. In this way, the coarse particles are first held back on the dust air side, then with increasing filter layer depth more and more fine particles are also held back, until the necessary air purity is reached. As a result of this gradually-stepped separation, the entire filter medium is used uniformly. There results a favourable pressure drop rise, a large dust-storage capability and, with that, a high cost-effectiveness through long service life. Furthermore, the filter user profits from higher levels of air purity and air hygiene.